The online prequel to the Fallout series – where every surviving human is a real person. Work together, or not, to survive. Under the threat of nuclear annihilation, you’ll experience the largest, most dynamic world ever created in the legendary Fallout universe. Reclamation Day, 2102. 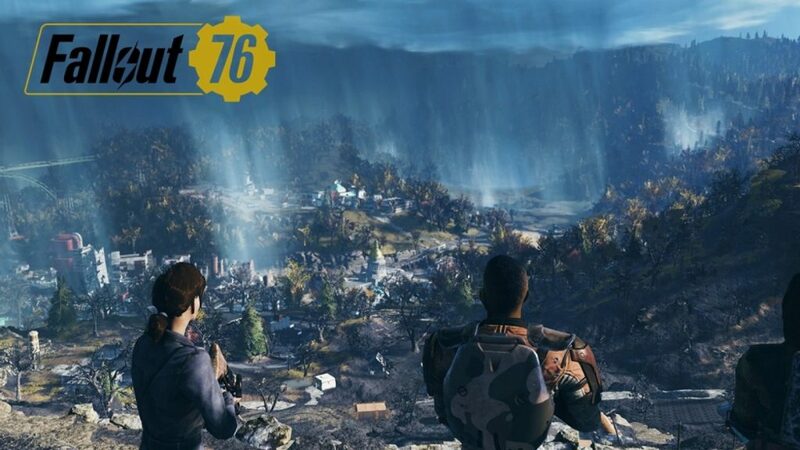 Twenty-five years after the bombs fall, you and your fellow Vault Dwellers – chosen from the nation’s best and brightest – emerge into post-nuclear America (Applachia, West Virginia). Play solo or join together as you explore, quest, build, and triumph against the wasteland’s greatest threats. 4: “In-game Purchases” – I can see this becoming a cheesy way for Bethesda to bilk players for real world dollars. 5: Very repeatable scenarios that make the game crash. One of the main quests – “Personal Matters” – is completely broken and prevents players from being able to finish it. Info/Notes (Pendragon): I have played several hours on both the PC and Xbox versions of the game. Game play, thus far, has been fairly similar – though I like the keyboard/mouse of the PC version over the “controller only” of the Xbox version. It just lends itself to more “control” of my game play. That could “just be me” however – as I am an “old school gamer”. As for the recent “bad press” that this game seems to be drawing – all I can say is I have no issue spending HOURS playing this game. Are there still some glitches? Yes. But, I imagine, folks will be hard pressed to name a newly released game that doesn’t have those at initial release. Bethesda has been “on top” of things – releases maintenance updates regularly since “go live” and I expect that trend to continue. Side Note: This review took considerable time in being formulated – as many of the Admins wished to weigh in on this particular game.